Kruger Cowne partners with JH Public Relations to form integrated public speaking, branding, endorsement and PR service to the stars. Talent Management agency Kruger Cowne have announced their partnership with JH Public Relations, bringing PR for the agency’s 300 strong client roster under its already impressive umbrella of services. Having launched Kruger Cowne Rights in 2014 headed up by Adrian Sington (former Executive Chairman of Virgin Books and Vice Chairman of Virgin Comics and Virgin Animation), the partnership with JHPR, founded by Jessica Huie, MBE signals an exciting progression for both agencies and the clients they service. The impressive coup now offers services ranging from book deals, PR and Event support, public appearances, public speaking engagements plus much more. 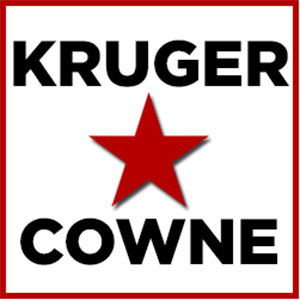 Kruger Cowne, which celebrates fifteen years of business this year, was founded by Mark and Gina Nelthorpe-Cowne in 2000. Having begun as a promising speaker bureau and evolved into a fully-fledged talent management agency, the London based business has seen an exciting, expansion in its roster year-on-year – representing global icons such as Sir Bob Geldof, Elle Macpherson, Meghan Markle, Lily Cole and Boris Becker. Founder of JHPR, Jessica Huie has over 15 years experience working at the pinnacle of the entertainment industry. Previously working at some of showbiz’ most influential PR agencies and renowned for her work with inspirational entrepreneurs and personalities, Huie was recently honoured with an MBE for her services to diversity and entrepreneurship. The integration of the two agencies is an exciting new chapter within the talent management industry.